Bravo! Working with architects on their own home can be a dream or major challenge. Love how the design is complex but not in your face. 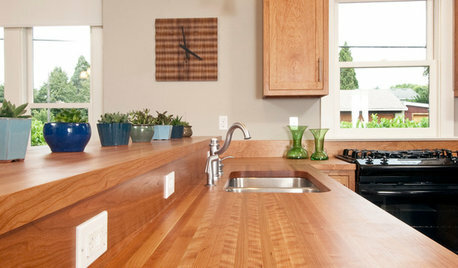 Please tell me the material of the countertop and also if not quartz, why not. Thank you. It is quartz, Caesarstone to be specific. The particular pattern is no longer available, though. HI -- Be careful of having too many colors and building materials , it could get very cluttered looking. Keeping it simple is always best. There is a tile edging that will finish off the edge of your tiles for a neater look.It's a small L shaped molding that is plastic or metal . 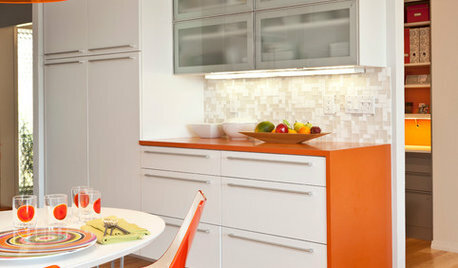 Kitchen backsplash, island countertops and perimeter countertops. Marble stains granite that looks like marble dose not ! So go with the look you like with out the problems I say ! Look at everything that has the feel you want but easy care. 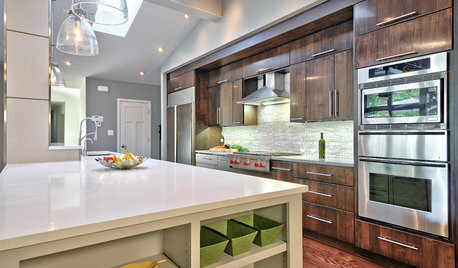 Normally people don't know what real marble is any way and other materials have the look of real marble with easy care. 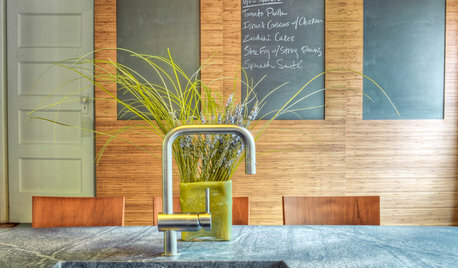 I like no added patina from the day I put in a kitchen. 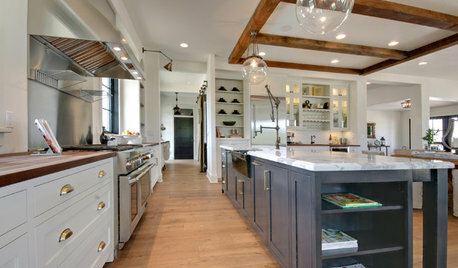 I would also go with one big chandelier for a lux look unless your island is over 8 feet long. It's not. Possibly 2 smaller ones. I would hate having red wine stains on a new kitchen counter. Even sealers are a pain to keep up with. For a country french look a wood counter that is dark wood and beefy 6" thick top would look great with a crystal Chandelier. I would want all the same surface on the island to use as a buffet when I had company. If the dining area is in the same room I would get a even bigger chandelier matching over that table. Of course pics would really help out in these questions. 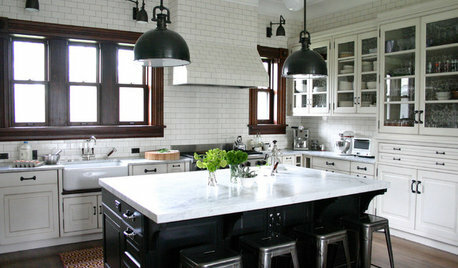 I would also not get a solid black counters for the rest of the kitchen, but something with a speck of white or gray. I have had black counter tops and they showed every speck of salt, flower, sugar etc. I'm a bit OCD in a Kitchen and bath wanting them to always look spotless. Who am I kidding I like everything spotless. lol And always have even with kids in the house &amp; their friends. 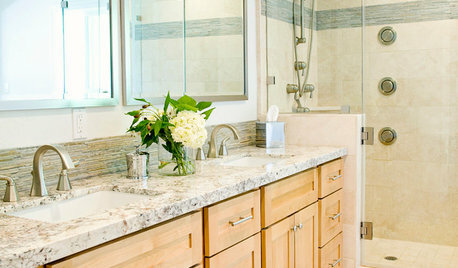 There are advantages/disadvantages to marble and granite. First of all, I have to say, I would use natural stone and not one of the engineered ones if your budget is allowing it. I love marble islands and we have sold many in the 10 years we have been in business with letting customers know about the pros/cons. Marble islands are great because they are very delicate and contrary to belief not as porous as granite. They are the hardest natural stone out there. However, marbles react to acids. Acids etch them. And we have many natural acids in the kitchen (lemons, acidic drinks etc). That's why we suggest a HONED finished rather than a POLISHED if you actually cook in your kitchen. HONED finishes will not have a shine, so acids will not eat away the polish. Still you cannot let things sit there if they are acidic. Marbles are also great if you bake since they are cooler than granites. 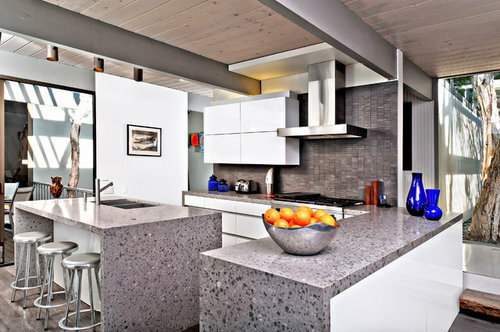 Granites are very durable in kitchen in the sense that they do not react to many things we use in the kitchen. However, some like Santa Cecilia etc will absorb oils and water even sealed... and I do not like them for baking, as your dough will stick to them. 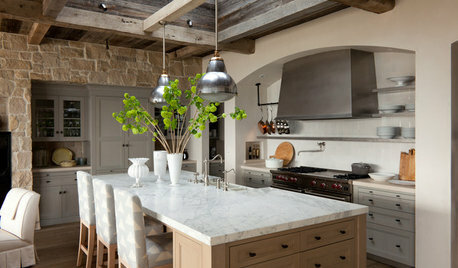 I like all white kitchen, so definitely support you Calcutta and Carrera decisions. Let me know if you have any questions. I would keep the cabinets, &amp; get rid of the shiny paint on the soffit and ceiling. If you paint the walls the same color as the cabinets, but in more of a washable matt finish it will give the illusion that cabinets go higher and will make the soffit blend in more. Why granite? have you considered quartz? Someone probably asked you already on this thread, sorry I didn't have time to read all of the answers before posting my comment. --oops! 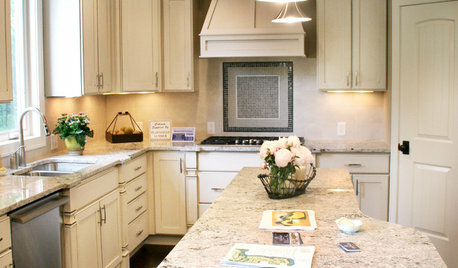 Just noticed you painted the countertops &amp; sold it! Congrats! !